This week we're going to be highlighting features from our upcoming quality of life update. These features are meant to improve your play experiences and provide some other nifty improvements. Today we're to talk about two new features, Saving Squad Configurations and Speeding Up Combat! Saving Squad Configurations: Preset Squad Configurations can now be saved and selected in the squad selection screen. This feature is very robust allowing squads to be grouped into tabs (ex. AAT Squads) and rearranged/deleted. Speed Up Combat: Combat speed can now be modified between three settings (1x, 2x, 4x). 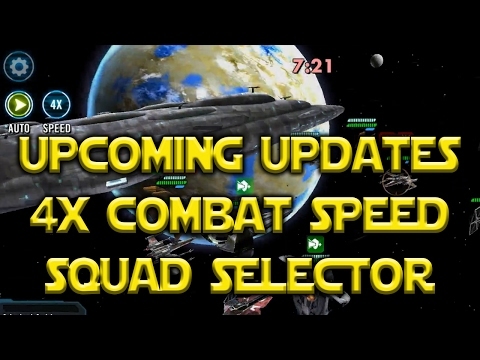 These speeds are independent of Auto or manual battle allowing increased speed while retaining manual strategy. To see these new improvements in action be sure to check out the video from MobileGamer over on his channel. Check back tomorrow as we'll be sharing details on other upcoming improvements to Star Wars: Galaxy of Heroes. Here is the second part of our Quality of Life update preview! Basics Only in Auto Battle: Auto Battle can now be configured to only use basic attacks. 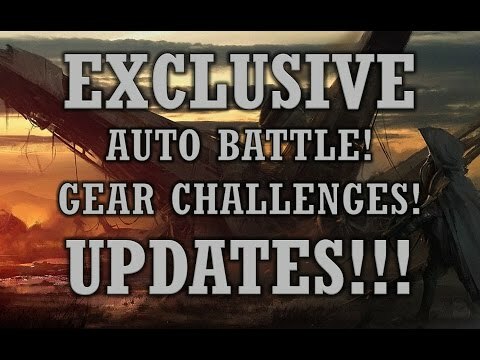 This setting can be enabled in the Battle Settings menu and provides the choice between Auto Battle using all abilities, using basic abilities only, and providing an option to select the desired behavior when tapping the button in combat. Character Gear Challenge rewards have been increased so that higher tiers always provide better rewards. Preview Ability Upgrades: Ability levels can now be researched allowing players to make more informed choices regarding their investments. Train/Enhance Screen Improvements: The unit’s desired level can now be selected and necessary resources will be automatically assigned. The animation for upgrading a Mod is much faster and can be skipped. 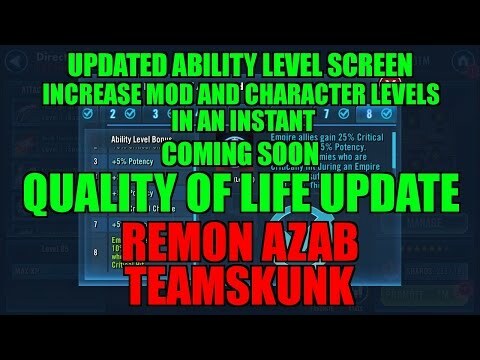 Mods can be upgraded based on a desired level. Be sure to check out the video from Remon Azab showing these improvements in action. Check back tomorrow as we'll have more Quality of Life game improvements! It's time for round 3 of our Quality of Life game update preview! A player's fleet arena ships and ship inventory can now be viewed in the player's profile. The players XP bar and level have been updated to include the player’s name and look tappable. Many players were not aware they could view their own player profile. New stat added "Fleet Arena Battles Won"
Guild Leader Message: Guild Leaders can now set a persistent message at the top of chat allowing them to communicate important information. Improved Home Button: To enable easier navigation in the Guild Room and Ship Room, the Home button (upper right corner) will be contextual to the current room. (Cantina, Guild Room, Ship Room). For example, when viewing the Raid Leaderboard, the home button will be replaced with a Guild Room button. Squad Arena Daily Activity will be reduced from 3 attempts to 2 attempts for players that have the Fleet Arena daily activity. Guild names have been added to Ally Management and Requests including Ally Request inbox messages and post battle Ally Requests. Potential Ally’s player profile can be viewed when an Ally Request inbox message is received. Current Allies now display Guild name and last active time to allow easier management. Favorite Unit: A unit can now be identified as a favorite allowing easy identification when viewing the character/ship inventory. A filter exists for only viewing these units. Guild Management: The "Last Login" filter in Guild Management has been updated to "Last Activity" to convey a more accurate time period since the player has last played the game. “Last Login” had the potential to not update for highly active players that never closed the game. Check out some of these features in the video below from Warrior from Team Instinct. Stay tuned as we will be sharing the final details of the next update tomorrow! It's time for the last part of our Quality of Life Update preview posts! All Shipments/Feature Stores can now be accessed from each other allowing easy navigation between them. For example when making purchases after timers have reset. The Shipments Daily Activity will now increment from purchasing from either Shipments or any of the feature stores. 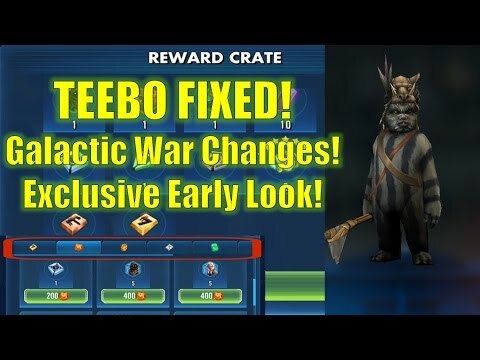 Teebo Bug Fixed: Taunt and Stealth effects no longer completely overwrite one another or themselves. If a unit has multiple Taunt effects or multiple Stealth effects, their durations will be tracked individually, rather than the newer buff overwriting the older one. If a unit has both Taunt and Stealth at the same time, Taunt takes precedence (i.e., enemies will be forced to target them), but the unit will still count as both Taunting and Stealthed for the purposes of triggering other effects and abilities. 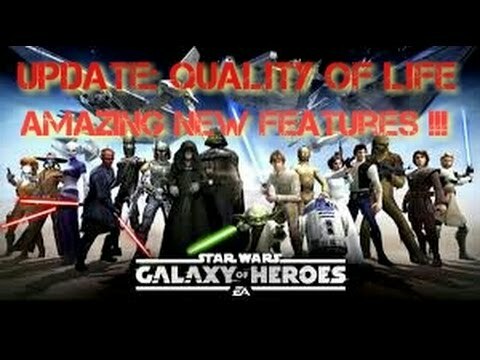 We're aiming to have this Quality of Life update release next week! We'll post again with the exact day once it has officially been locked in.